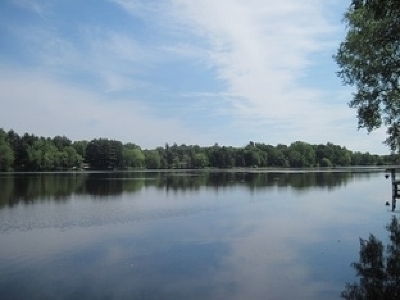 ARKDALE LAKE OFFERS 100' OF WATER FRONTAGE. Close to many lakes, ATV trails and prime hunting. This parcel is perfect for your weekend vacation get a way or full time home. Arkdale Lake has public boat launch and is home to many types of fish. Enjoy the peace and serenity that can only come from having an escape on the lake. Priced to Sell!